The list of the most valuable companies by market capitalization is a dynamic and constantly reorganizing list as some companies continue to grow while others begin to languish. When we think of large corporations we typically conjure up the vision of a totalitarian state where behemoth brands continuously compete for market share. While it is true that these companies have shown sustained growth, you may be surprised to learn which products are sustaining this growth. Before the first version of the iPhone was released in 2007, Apple’s stock price never exceeded $20 per share and the company’s valuation was around $100 billion. 2018 is a different story with a market capitalization north of $900 billion. During the three-year period from 2015 to 2017, over $433 billion worth of iPhones were sold worldwide. 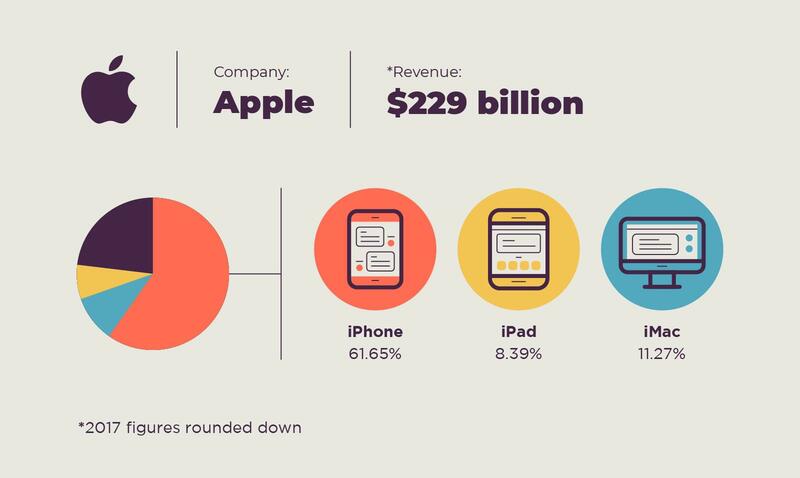 While these numbers are staggering, it is worth noting that the iPhone comprises over 60 percent of Apple’s revenue. 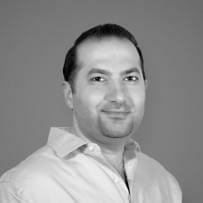 Other companies and industries paint a different picture with wide revenue stream diversification. The old investing adage of not putting all your eggs in one basket is glaring in technology stocks topping the most valuable companies list. Below are the products, services and markets driving revenues to some of the largest companies in the world by market capitalization. Although first released only 10 years ago, Apple sold $141 billion worth of a single product in 2017, the iPhone. Today, Apple is the most valuable corporation in history. The next best-selling product for Apple by revenue is their line of desktop computers, iMac. Interestingly enough, the iMac and iPad combined sales make up less than one-third the percent of revenue of the iPhone. 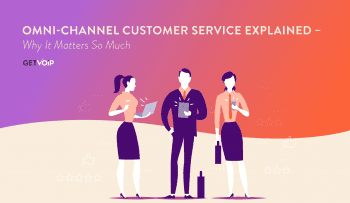 This eCommerce giant started in 1994 as an online bookstore and continued to expand its business model to become Earth’s largest selection of “just about anything.” In 2006, Amazon launched their web services platform (AWS) which has grown substantially. Although Amazon’s web services are relatively new, this business segment has already grown to become 10 percent of Amazon’s revenue. 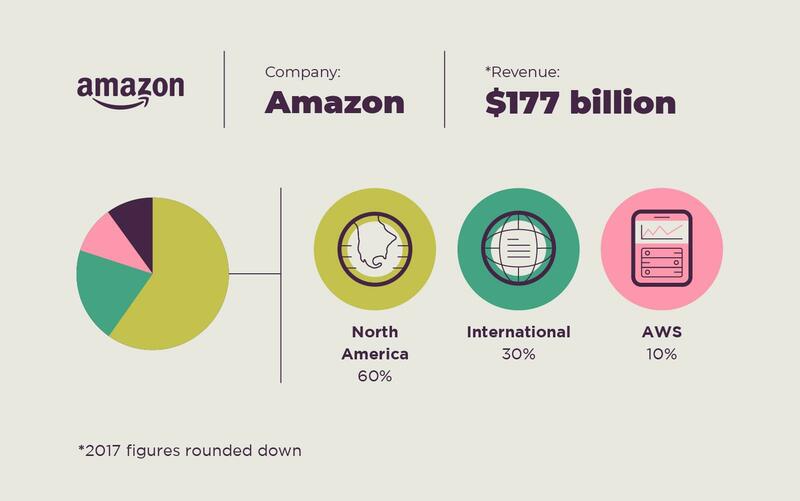 It is also interesting to note that Amazon’s international sales are half the total sales of the United States, Canada and Mexico. Founded in the mid-1970s it soon became the dominant power in personal computing with its release of Windows in 1983. Today, Windows is only a small portion of Microsoft’s business. 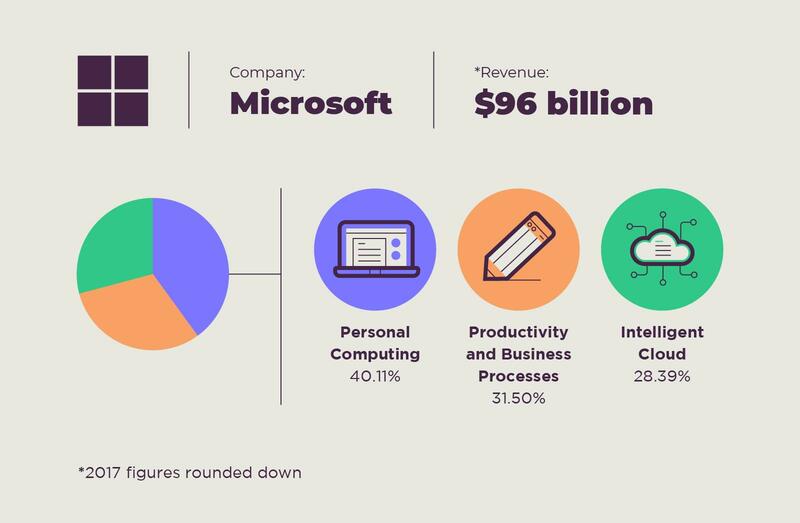 With the acquisition of LinkedIn for more than $26 billion in 2016, Microsoft continues to expand their reach into the business processes and productivity marketplace. Another Silicon Valley garage to golden goose story is Google, now Alphabet. 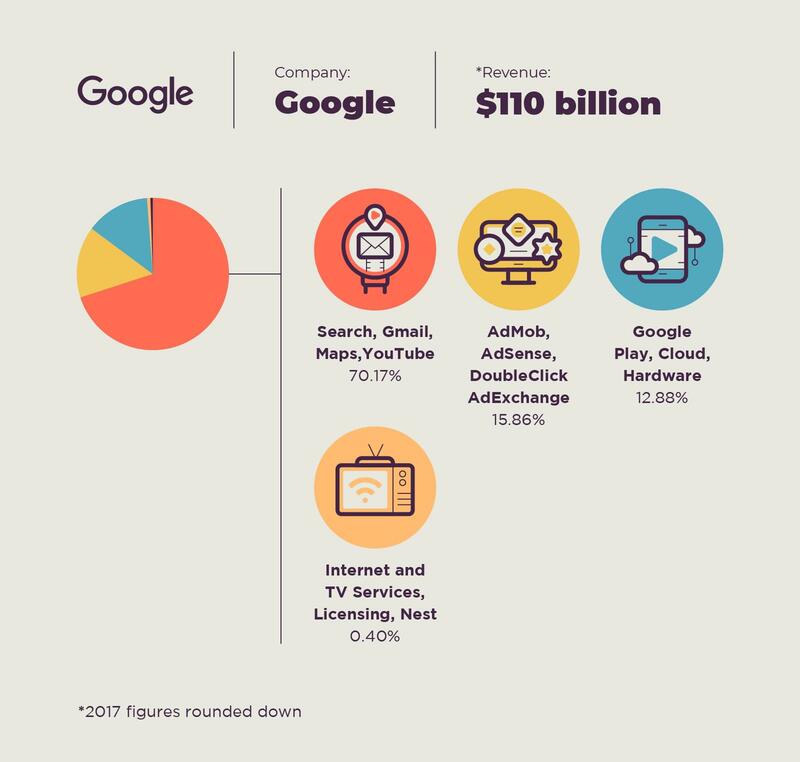 Its search engine has a market share of 67.6% in the U.S. and the company continues to innovate and grow through big internal bets and acquisitions, like the 2006 purchase of YouTube. The social networking platform with over 2.2 billion monthly active users continues to grow year-over-year while the diversification of its revenue continues to come from one source—ads. 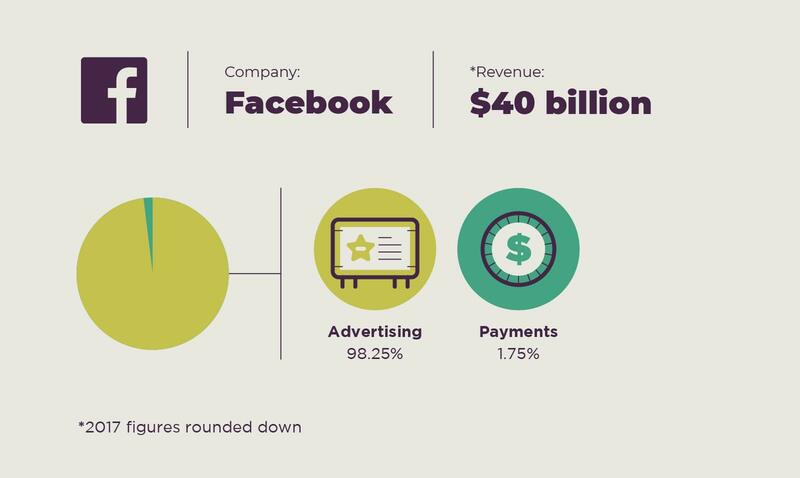 As Facebook’s user base and revenue continue to grow year over year, so does the company’s appetite for acquisitions. With the purchase of Instagram, Whatsapp, and Oculus VR, among many others, their total mergers and acquisitions are north of $23 billion. 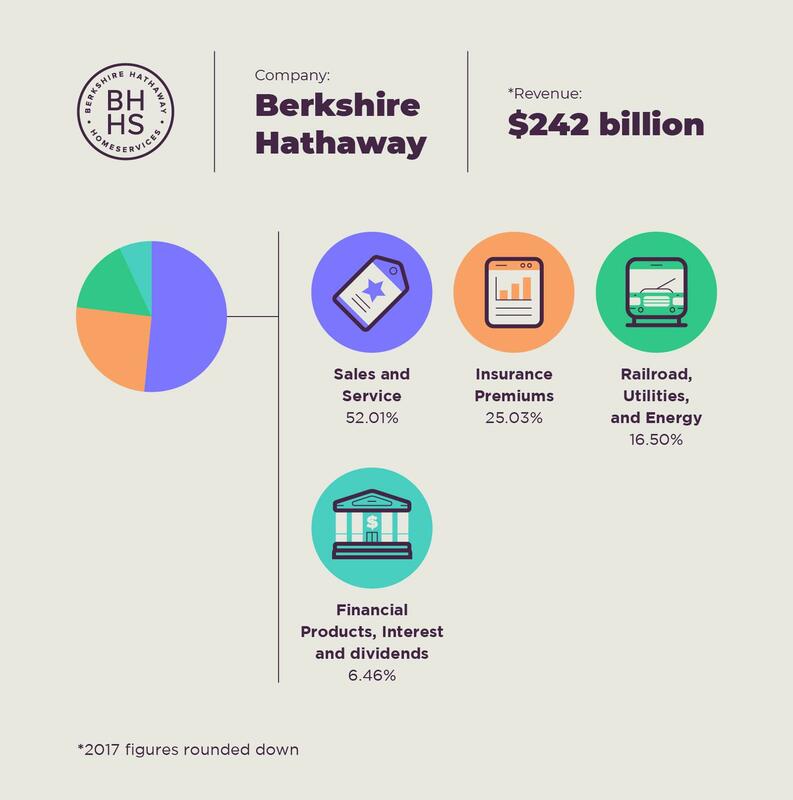 The namesake representing an early failure, Berkshire Hathaway was a textiles business that Warren Buffett invested in expecting growth to wane. He kept the name and diversified the investments to achieve legendary returns and growth. Founded in 1886, this is one of the oldest companies on the list and actually comprises over 250 companies that make up a “family of companies.” Some of the consumer family members include Band-Aid, Listerine, Splenda, Visine and Neutrogena. 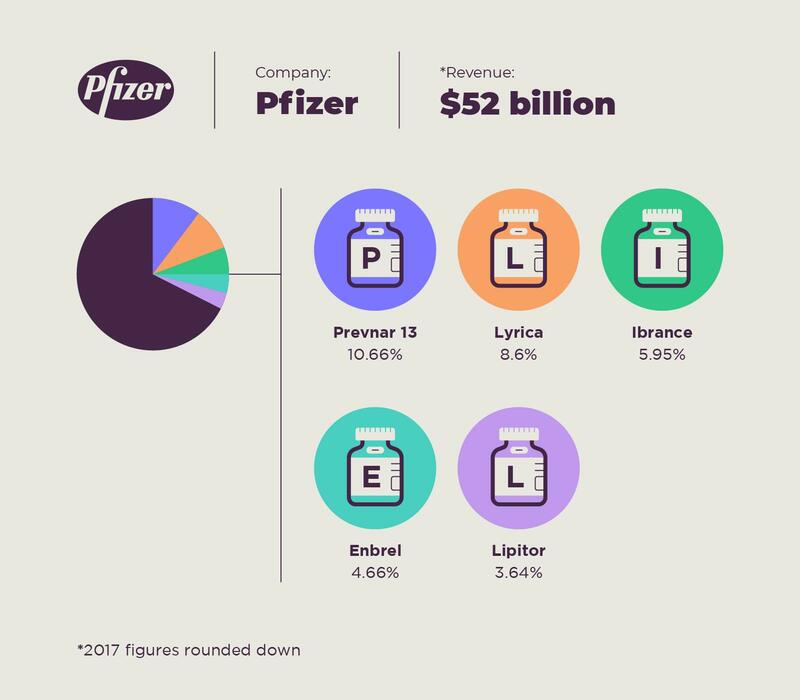 While their pharmaceutical division comprises more than 30 percent of the company’s total revenues, immunosuppressive drugs Remicade and Stelara, used to treat arthritis, Crohn’s disease, plaque psoriasis and more, makes up a total of 28.48 percent of their pharmaceutical business. Inventor of the microprocessors found in most personal computers today. 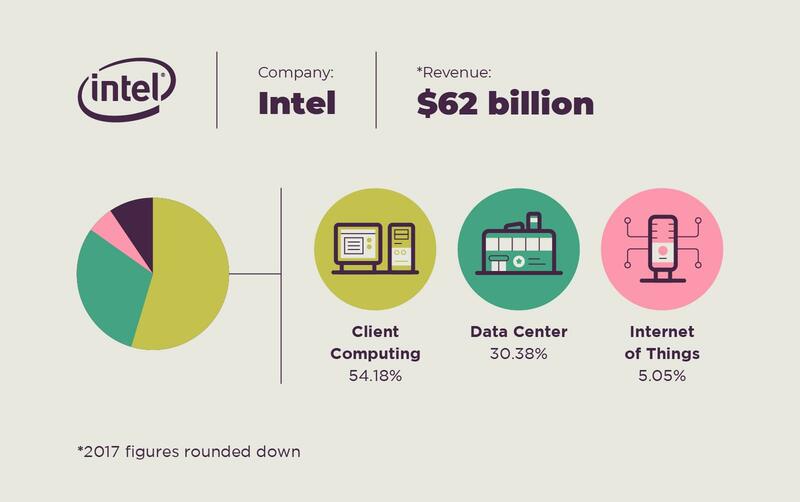 In 2016 Dell accounted for 15% of Intel’s total revenues, Lenovo was 13% and HP was 11%. Recently, Intel has seen expansion in the IoT market. Intel’s market share of personal computing platforms such as notebooks and desktop computers is responsible for 54 percent of their total revenue. 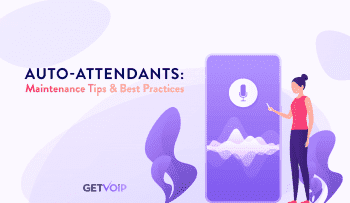 The workload optimized platforms for enterprise, cloud and communication infrastructure contributes another 30 percent of total revenues. Pharmaceutical company behind vaccines and drugs that can aid consumer health and lifestyle. These top-selling drugs can be used to treat pneumonia, epilepsy, breast cancer and arthritis—among other consumer healthcare applications. Consumer goods conglomerate founded in 1837 primarily specializing in cleaning agents and personal care and hygiene products. 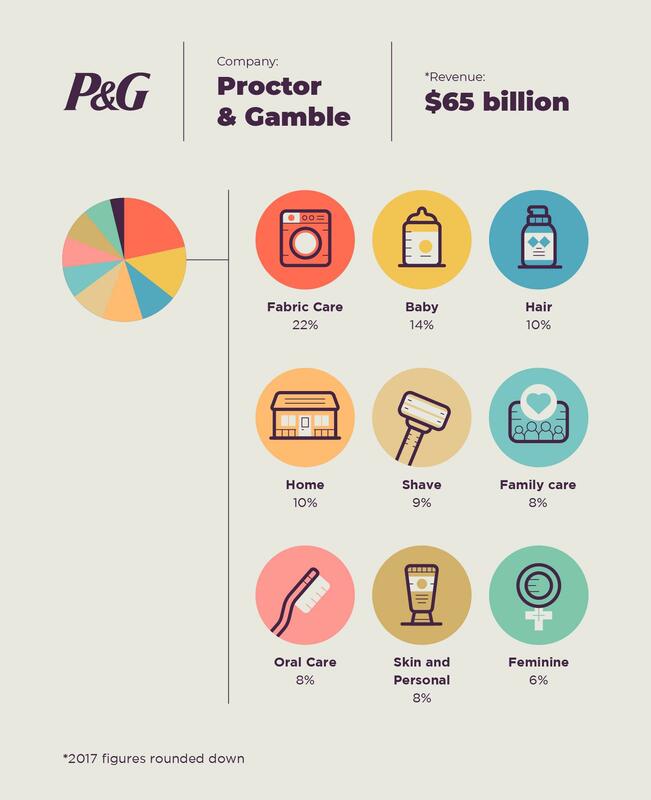 P&G brands include Tide laundry detergent, Charmin toilet paper and Crest toothpaste. Founded by Thomas Edison in 1892, GE operates in a wide variety of industries including power, aviation, healthcare and even household appliances although it planned to auction off this business segment, the 2008 recession thwarted those plans. 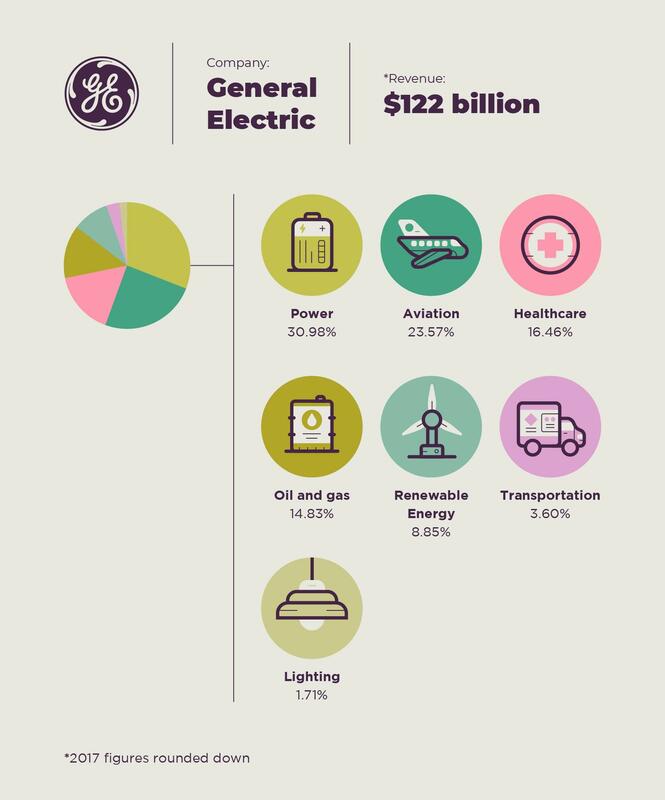 The power division of GE reportedly creates one-third of the world’s electricity and equips 90 percent of the power transmission utilities globally. 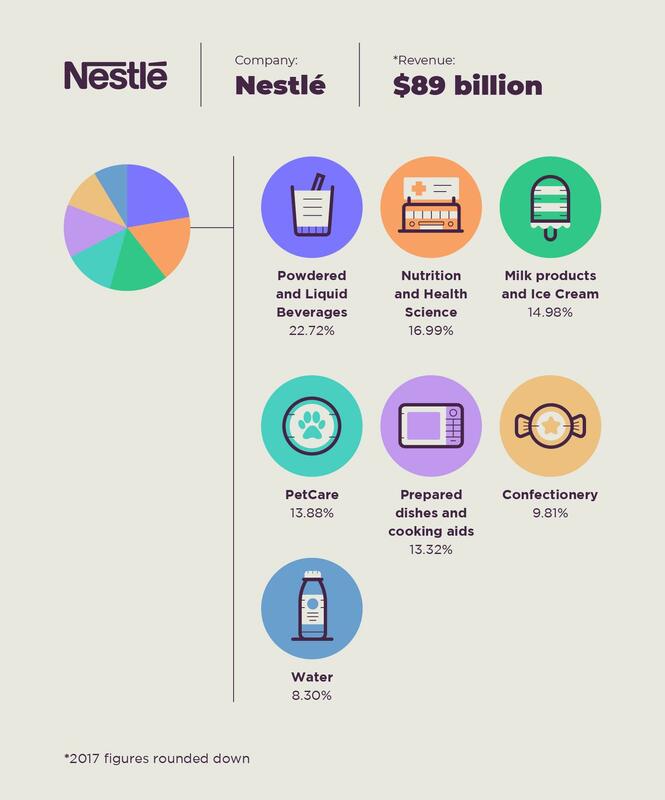 Although most Americans would immediately think of candy bars or hot chocolate when thinking of Nestlé, the Swiss confectionery only accounts for 9.81% of total revenue in 2017. It might be surprising that even PetCare makes up a larger percentage of sales. Products related to food and beverage are much more lucrative for the company headquartered in Vevey, Switzerland. Brands like Nespresso, Dreyer’s ice cream, Nestle Water, and even Purina dog food are major contributors to the bottom line. On June 28th, 2007, one day before the iPhone was released, Apple Computer’s market capitalization was $93.30 billion dollars. Today, the company is valued at nearly 10 times this amount. With the iPhone accounting for the large majority of that growth, it’s hard to imagine what the future of Apple looks like when the mobile phone industry is disrupted by innovative new companies. A lot of companies build what Warren Buffett refers to as the company’s “moat.” This moat is the company’s defense against both entrenched and encroaching competitors. 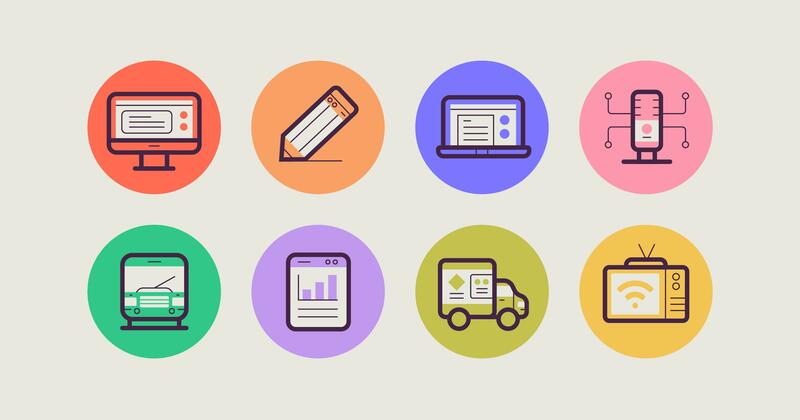 Much like the investing practice of a diversified portfolio, having a diversified product line can be a great way to build a moat around your business. 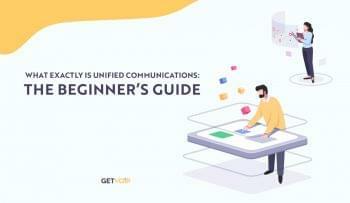 Take BlackBerry, for example, their business was heavily dependent on their mobile phone sales, but iPhone and Android quickly took over market share and subsequently wiped over $75 billion worth of valuation from the company’s total market capitalization between its peak in 2008 and 2018.